Following recent allegations of antisemitism in the Labour Party, Independent Jewish Voices (IJV) welcomes the launch of the independent Inquiry chaired by Shami Chakrabarti and announces that it will be making a formal submission to the Inquiry. 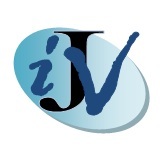 As a group vehemently opposed to all forms of racial and religious prejudice and counting a number of leading experts on racism and antisemitism among its signatories, IJV is ideally placed to help clarify what does and does not constitute antisemitism today. IJV appreciates and shares the deep concern about antisemitism expressed by public figures across British society. Like other forms of racism it is a serious social and political problem. But confusion about whether or when opposition to Israeli government policies or criticism of the nature of the Israeli state is antisemitic hinders serious public debate about antisemitism and the framing of policies to combat it. IJV’s statement on allegations of antisemitism in the Labour Party, featured in a BBC Newsnight report on 5 May and quoted at the launch of the Inquiry, noted that such charges foster an atmosphere increasingly hostile to those fighting for the rights of Palestinians, just as opposition is growing to Israel’s racist and discriminatory policies towards its Arab citizens and its ongoing occupation in violation of international law.